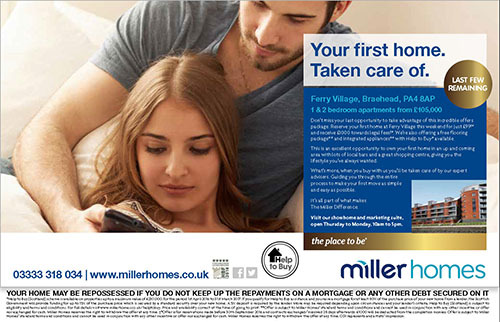 The ‘Taken care of’ campaign was developed to demonstrate that Miller Homes have everything taken care of when buying your first home. Using channels to target an ftb audience, such as social media, property portals, emails, sms and re-targeting, creative messaging highlighted the incentives and support available to ftbs, such as Help to Buy, deposit match, £99 reservation fee and paid legal fees. Innovative messaging also linked to mortgage, Help to Buy and Stamp Duty calculators, video testimonials from other ftbs, blogs and social media content. All content used the hashtag #takencareof to reinforce the message. The campaign has been a great success with engagement on social media, website visits and appointments booked significantly increasing.